Marnus Labuschagne has averaged 25 with the bat in his past 15 first-class innings yet somehow is on the verge of a shock recall for this week’s deciding Test against India. The 24-year-old was a wacky selection to make his Test debut against Pakistan in the UAE, having never once averaged 40 or better in a Sheffield Shield season. Then Labuschagne averaged 20 with the bat in two Tests, went back and averaged 28 in five Shield games and now finds himself in Australia’s 14-man squad for the final Test in Sydney. So farcical is this squad that it contains four players who inarguably did not deserve selection and another who is fortunate to be included. 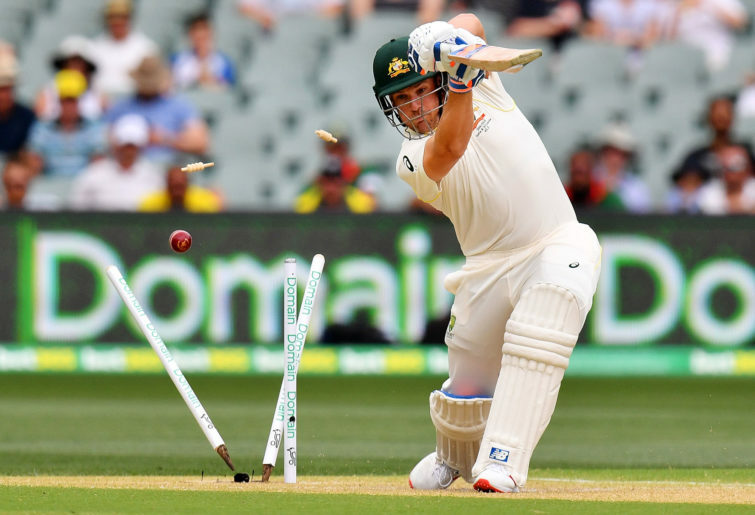 Mitch Marsh has averaged 10 with the bat in his past dozen Test innings, Shaun Marsh has averaged 18 from his last 18 Test knocks, Peter Handscomb’s dodgy batting technique has been brutally exposed at Test level, and Labuschagne isn’t in the best dozen batsmen in the country. Aaron Finch, the lucky one I mentioned, has averaged 16 from six innings in this series, and is being played completely out of position as an opener. When Australia named a bizarre squad for the recent Tests in the UAE I thought the selectors could not soon match this incompetence. As it turned out, I didn’t have long to wait. Many Australian pundits and fans have spent the past few days moaning about a problem which should not exist. They’ve railed against the lack of batting talent in Australia, as if the top six selected for Boxing Day was the best available. That is merely a distraction. The more pressing concern right now is the utterly bemusing refusal of the selectors to pick the most accomplished batsmen in the country. There you go. Done and dusted. Four of those players have first-class averages above 40 (Burns, Khawaja, Patterson and Maxwell). Another has made six first-class tons in 2018 alone (Renshaw) and the last guy is a 24-year-old who is easily Australia’s leading runscorer in the current series (Head). Instead, what does Australia have? 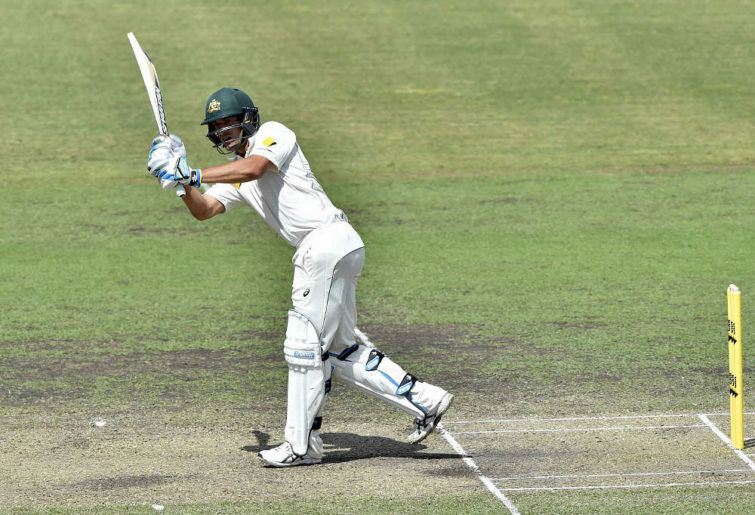 Two batsmen in deep and prolonged Test form slumps (Marsh brothers), a player with a hugely flawed technique (Handscomb), an out-of-form cricketer with a first-class batting average of 33 (Labuschagne) and a middle-order batsman floundering as a makeshift opener (Finch). If Australia had gone with the top six I listed above to start this Indian series I find it hard to believe they would not have performed much better than the Marsh-laden mess served up. To be fair to Marcus Harris, he was a worthy Test debutant in Adelaide and has done better than his average of 29 in this series would suggest. Against a quality Indian pace attack on what have been some fairly tricky pitches, Harris has done a good job of blunting the new ball, scoring 20-plus in five out of his six innings. His next step is to begin making the most of those frequent starts. Harris at least forced his way into the Test team via sheer weight of runs, making nearly 2,000 at 48 over the past three Shield seasons. The same can’t be said of Labuschagne. Reports have suggested it was his all-round ability that swayed with the selectors, with his leg spin bowling seen as valuable at the SCG. There are two problems with this logic. Firstly, Labuschagne is in rank form with the ball, having taken five wickets at an average of 60 in the Shield this summer, while leaking almost four runs per over. Secondly, the SCG is no longer a spinner’s haven at Test level. Australia’s premier spinner Nathan Lyon averages nearly 50 there across seven Tests, despite it being his home ground. The idea the SCG is spin friendly is a hangover from an earlier Test era. If the Australian selectors were determined to have a second spin option, without dropping one of the Big Three, they could have picked Maxwell, who has seven wickets at 30 from his four Tests against India. Instead they made another blunder. Another galling choice. Another out-of-season April Fool’s Joke.